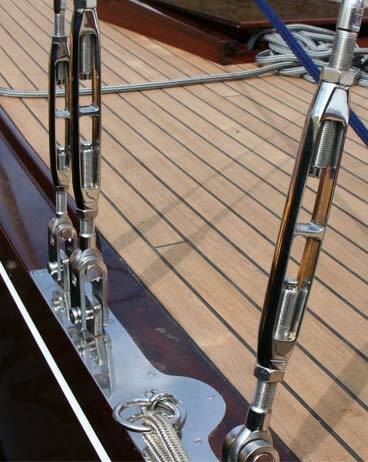 With stainless steel wire constructions, not only sails can be tightened and not only sunroofs can be fitted. Wire ropes can replace traditional railings, they can spice up playgrounds for your children and make plants entwine. Wire ropes can even do more - let our technical experts present you our possibilities and discover the innovative ideas that we have already realized. We produce wire ropes according to your wishes. Send us the datasheet wire ropes filled out. 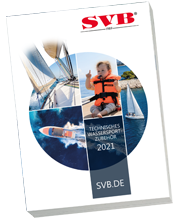 SVB produces your wire rope according to your wishes and needs. Shrouds, rods or rail ropes, we do not balk to supply you with any of these wire rope works. We ask you to measure your desired length with a thin wire rope from the first point of pull to the second one. Corresponding to the connections, we provide terminal rolling for wires of 3 mm to 16 mm, which we produce with our hydraulic press. This press is able to convert wires with up to 12 mm. 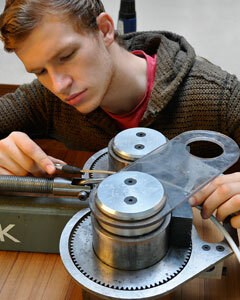 For thimbles we are using pressings with copper clamps (wire 2 mm - 10 mm). With shrouds and rail ropes the wires come at the given length with ca. 2/3 unscrewed clamps. Please do not hesitate to ask us about your individual works. Our customer service and our expert on cable constructions are available for more information. The SVB wire rope service, manufactures wire rope connection according to your needs. Whether for leisure or industry applications - our specialists are happy to give your more information. Our experts are adjusting your wire rope accurate to a millimetre.